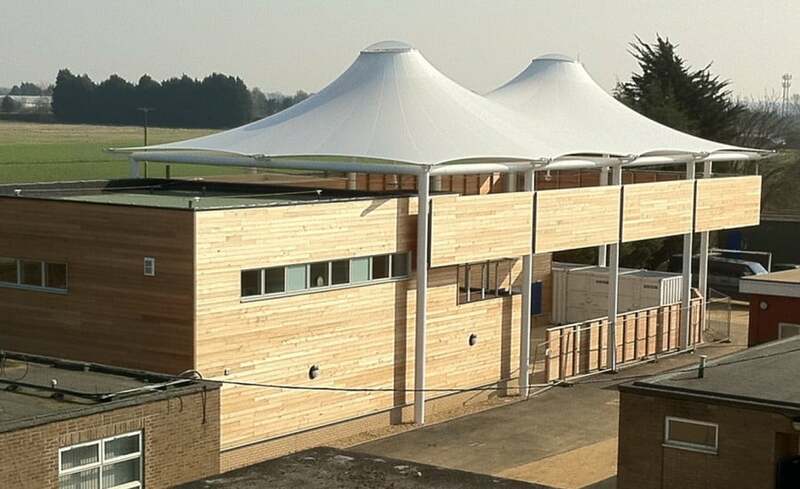 Cottenham Village Colleges brand new sixth form centre is now the home to a beautiful silicon coated glass cloth fabric canopy sailing over its technology Block and forming a focal point for the campus as a whole. After gaining High Performing Specialist Status, the college received the go ahead to expand to teach students up to age 19 and as a result also launched into a scheme to extend and modernise their learning space. 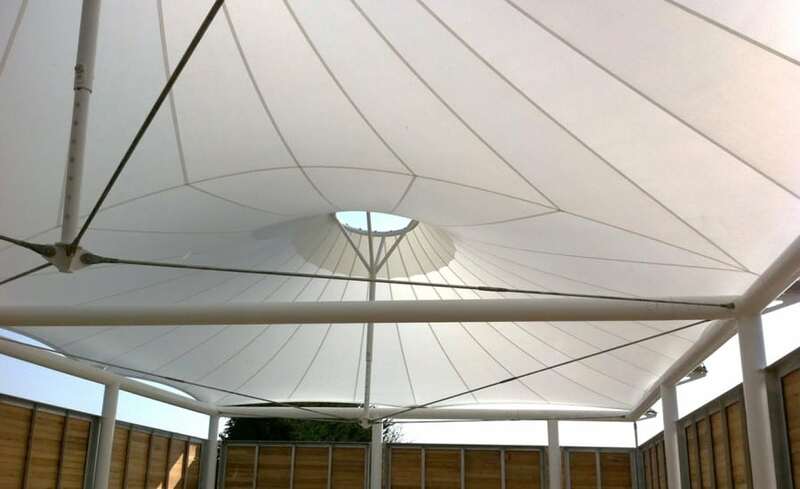 In order to deliver the scheme the college appointed an experienced design team comprising architect Mouchel Parkman and contractor Interserve who in turn approached Architen Landrell to discuss the technical intricacies of the tensile fabric canopy. 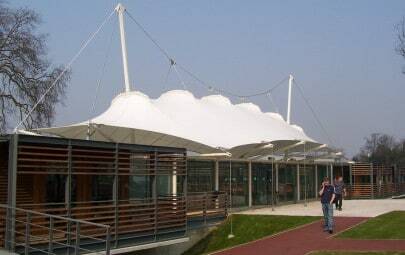 Covering approximately 400 square metres, the silicon coated glass cloth canopy is tensioned at the perimeter by 12 no. galvanised steel cables and at the peaks by two 2m diameter head rings. 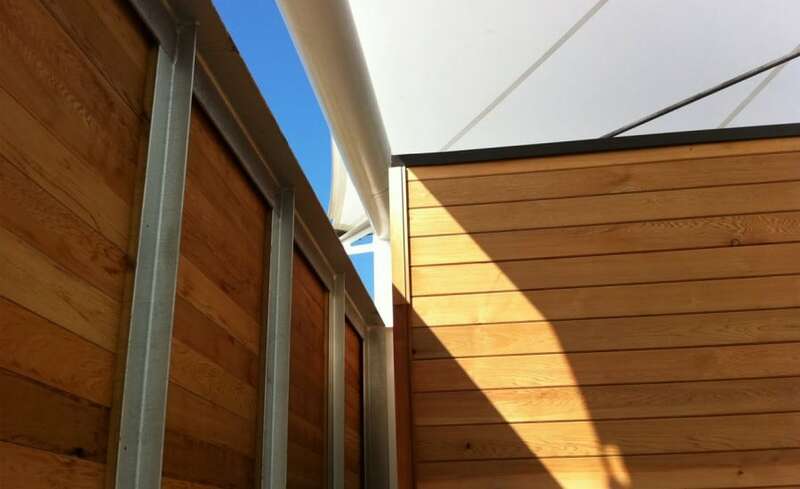 The supporting structure imposes no loads onto the surrounding buildings, instead is entirely self-supported as it flies over the communal space underneath. 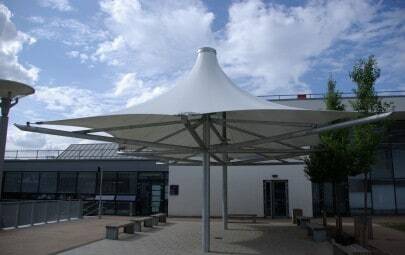 The fabric canopy is designed as a free standing structure and incorporates a minimal slope to the twin peaks in order to produce a low profile canopy. Architen Landrell worked with Mouchel Parkman to ensure that wind and snow loading requirements were met and drainage would still be effective. In order to maximise light transmitted into the space below, the design team opted to proceed using silicone coated glass fabric to form the membrane. 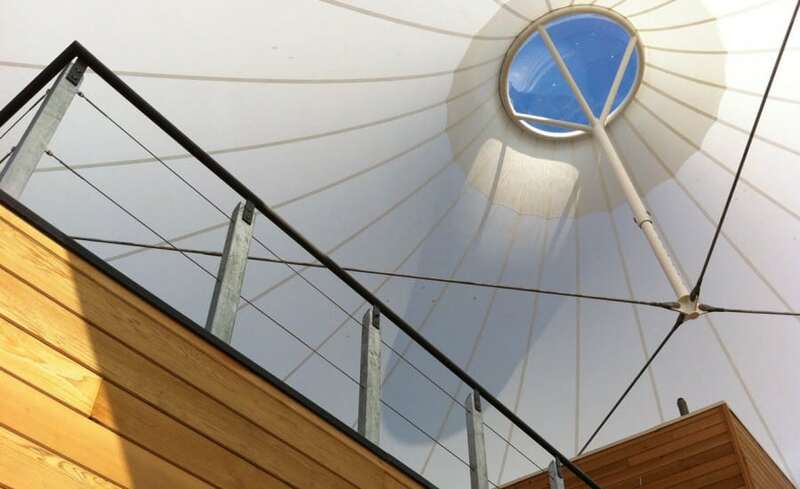 Unlike traditional PVC coated polyester, silicon cloth can transmit up to 40% of light through its membrane, maximising the light below and creating a bright, airy environment for outside working! 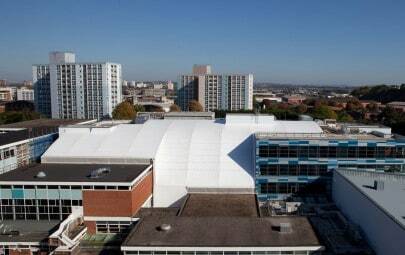 Thrilled with the results, the college is due to open to new students in the autumn of 2011.